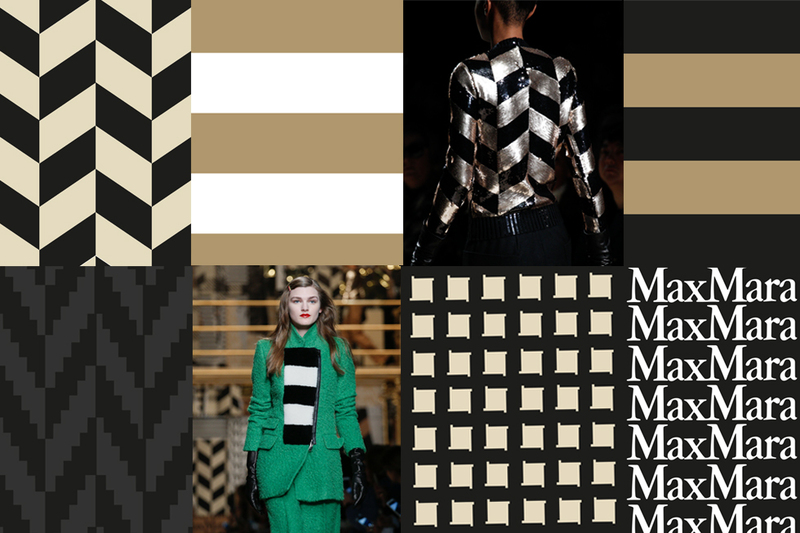 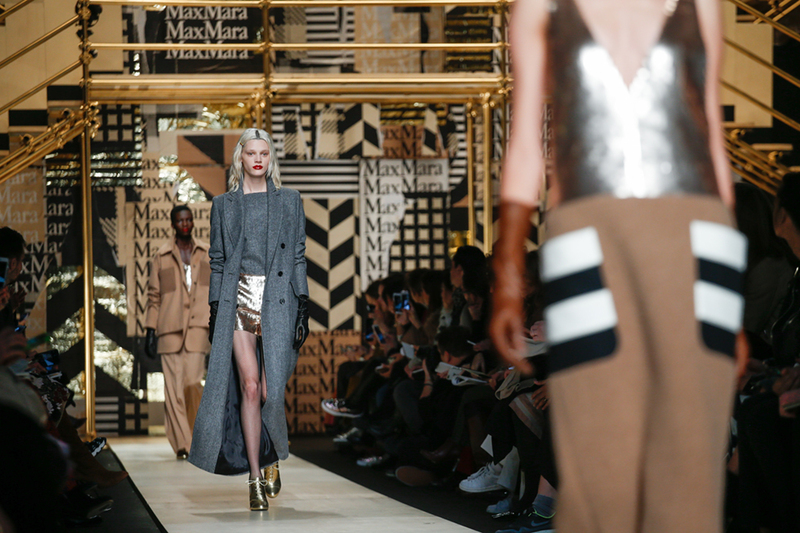 Inspired by the latest collection, we've just worked with Chameleon Visual designing the runway backdrop posters for Max Mara's Fall Winter 2016 Milan show. 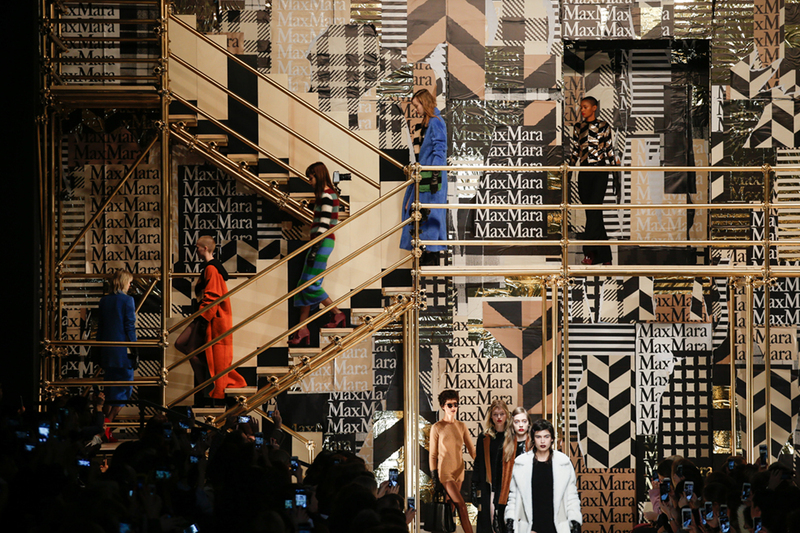 Using a bold monochromatic palette, punctuated with shiny gold metallic highlights, the posters were installed and then ripped on site to create a modern punk effect. 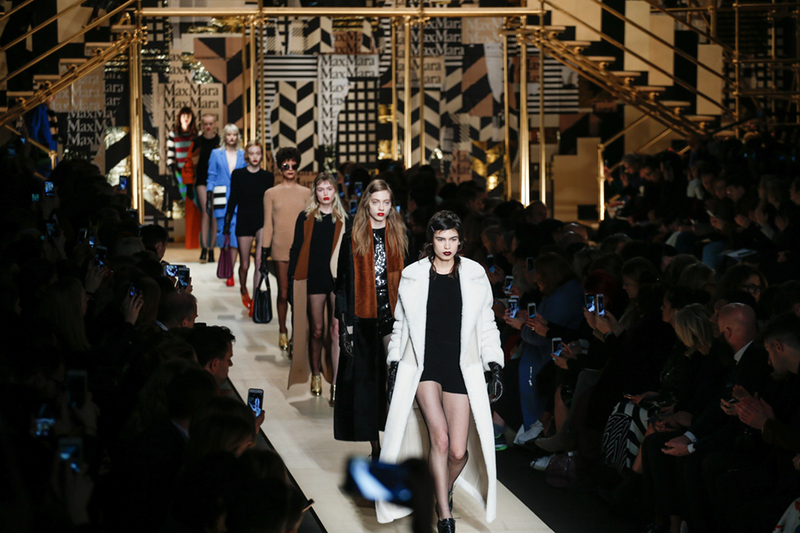 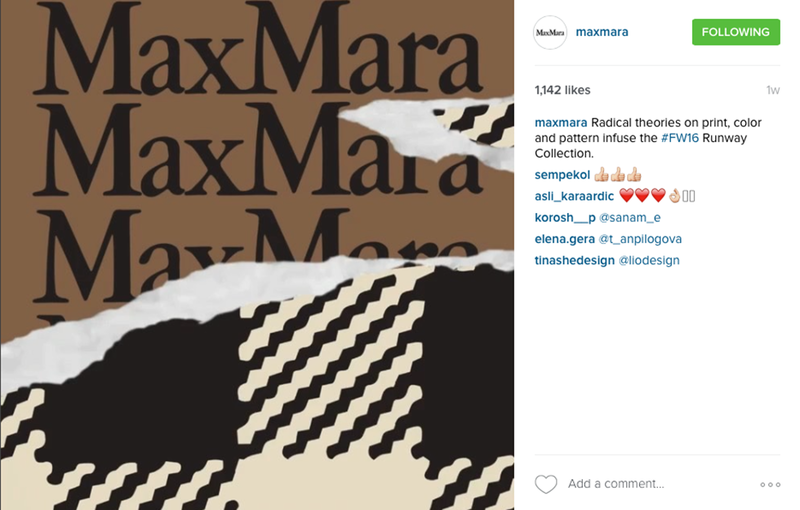 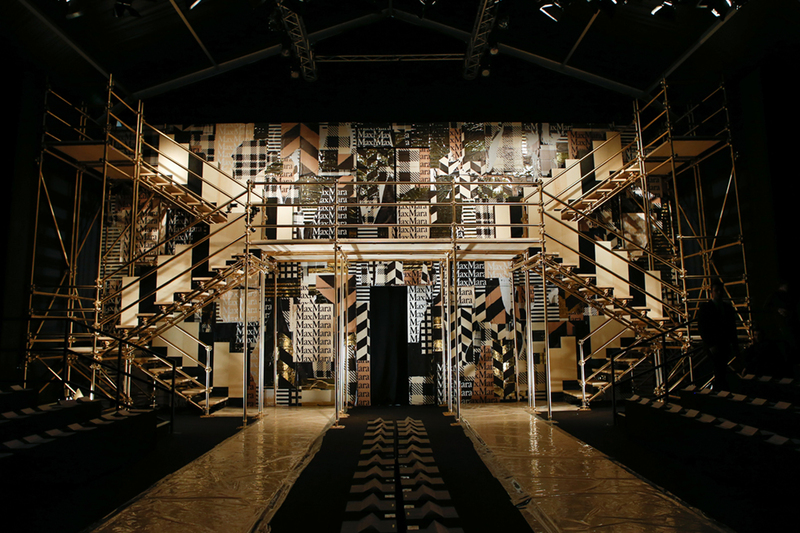 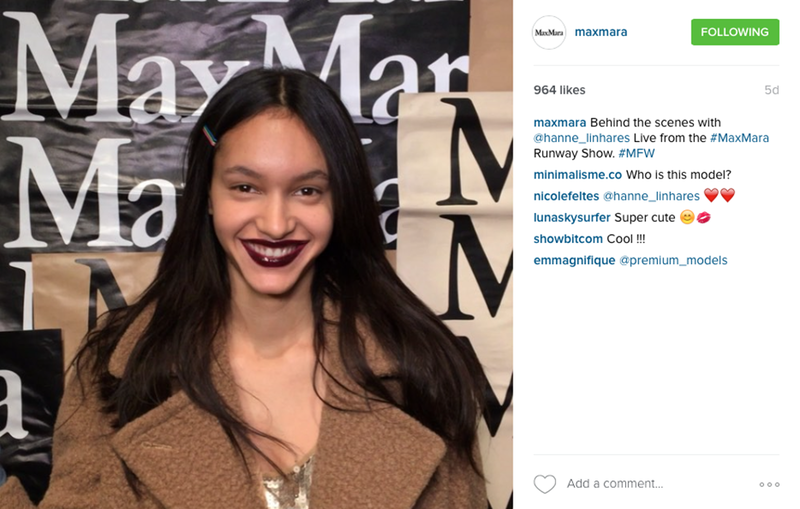 They were also used as the backdrop for Max Mara's pre-show comms on their social media channels.